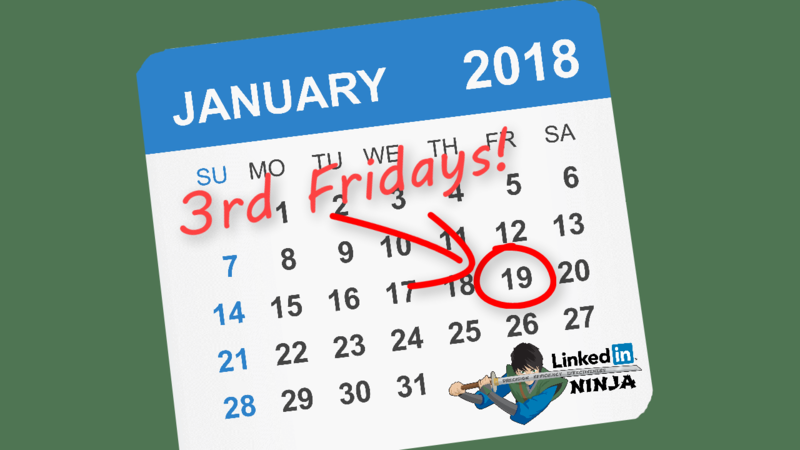 LinkedIn Ninja 3rd Fridays are monthly dynamic training sessions that happen the mornings of the 3rd Friday every month. The content of these sessions is driven by the questions and chosen topics of the attendees. I teach what you want to learn!